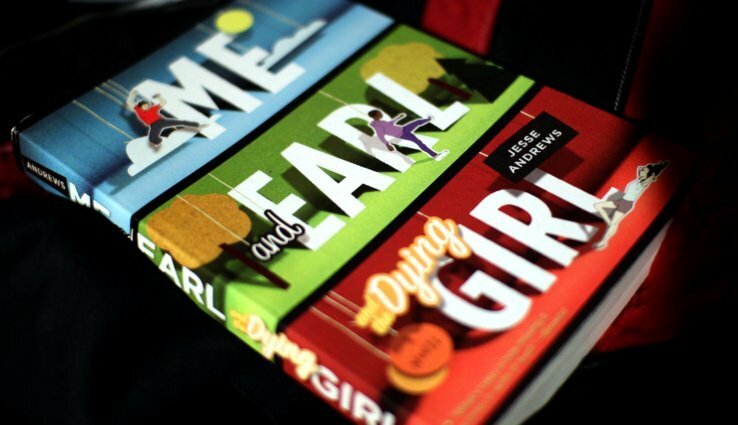 In my continuing search for books that geeks will love, I have come across “Me, and Earl, and the Dying Girl” by Jesse Andrews. A book compared often to “The Fault in Our Stars” by John Green, which initially worried me because I’m not the biggest fan of Green and I am personally against that book of his. Luckily, I persisted in reading and it payed off wonderfully for me. This book presents a realistic version of all those trashy teen books that are so popular right now. The book is told from the perspective of High School senior, Greg Gaines, as he is forced to befriend a girl he knew from middle school, Rachel, because she has been diagnosed with cancer. The writer of the book makes the bold decision of making the narrator, Greg, a complete and utter jerk. He means well, but he recognizes that most of his actions aren’t sincere and that he’s really self-centered. I actually got really frustrated with the character because of his constant whining, complaining, and lying. In fact, he never really gets redeemed as a character, he just matures a bit. It’s a really interesting character arc that I don’t really want to spoil. Rachel, and Greg’s best friend, Earl, serve as the lovable characters in the story. Not only do those two remind me of actual people in my life, which is always a good sign, they are multifaceted and make Greg a better character. I cared way more about those two than I ever did about Greg. This book is an easy read too, and it remains entertaining throughout. If you’re not interested in reading it I would highly recommend seeing the movie since it’s shorter and makes Greg a bit more likable. Also, I would like to note that there was no trashy love story which was a breath of fresh air for this particular genre. Also, in case I didn’t mention it, this is also a really funny book. It actually focuses on the comedy way more than the drama and you can check it out here. I feel like that’s all I can say about this book without giving away too much.